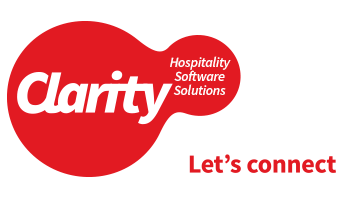 Last year we identified the need to appoint someone to manage the roll-out and implementation of Clarity Software Systems for new clients, to manage the training we provide and to implement a new Clarity Customer Care program. By having a focussed project manager and ‘go to’ person we believe new clients are up to speed much faster and with less disruption. This role demanded someone with significant Hospitality Industry experience and who relates to our client’s exact situations. Training is equally important as to avoid frustration for both Clarity and our clients. The focus of new client care, training for both new and existing clients and pro-active communication are keys in our Customer Care strategy. Planning and bringing these to reality is the role of our new Customer Care and Training Manager. In searching for the right person for the role, we approached Gabriela Tavares. Gabby has several years’ experience working with Clarity systems, including training, and since 2014 has been studying for a university degree. Her study includes Management Accounting, Business Information Systems and Project Management – almost the perfect synergy for our Clarity Customer Care and Training Manager. After some rearranging of her study and work timetables, we are delighted to announce that Gabby has joined the Clarity team in that role.